What can I say? I have a soft spot for adults cursing at little kids, and those kids cursing right back at them. 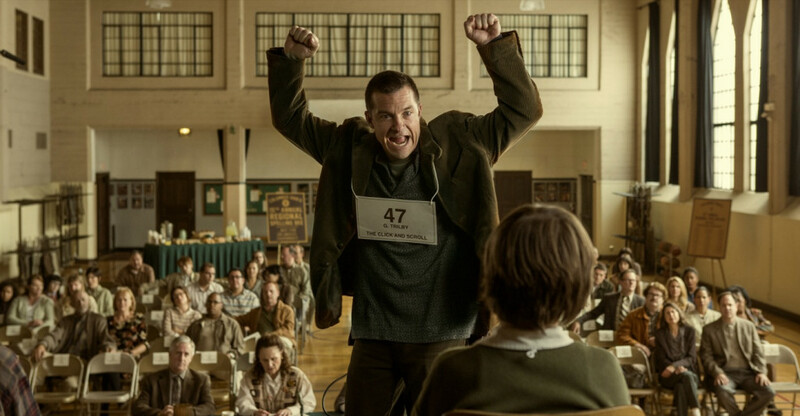 Bad Words is the story of Guy Trilby (Jason Bateman), a 40-year-old loser who uses a loophole to compete in a national spelling bee. Guy Trilby is about as unlikable a person as possible. He has no ambition, curses to no end, and is mean to both women and children alike. But Jason Bateman is such an awesome dude in general that he almost dares you to like Trilby. If Bad Words had just been 89 minutes of Jason Bateman insulting parents and children, then that would have been enough. But the fact that he added a fairly complex story with twist and turns and deep characters is definitely more than a nice touch. Guy Trilby is a fairly selfish man, so Bad Words is about how every character interferes with his life. There are two main characters who have an impact on his life here. The first is Jenny Widgeon, played by national treasure Kathryn Hahn, who is a reporter trying to write a story on Trilby’s life. I am going to assume that the story is for a Vice-like website, and that the headline for the article would probably be “Meet the 40-Year-Old Man who Still Competes in Spelling Bees.” She has trouble getting what she needs from Guy, probably because it will service a solid plot twist later on. While trying to avoid all people, Guy ends up befriending Chaitanya (Rohan Chand), a young spelling bee genius with an agenda of his own. I suspect that Rohan Chand could become famous soon, and that him and Bobbe J. Thompson could square off in a competition of who is the most obnoxious child. Eventually, Guy opens up to Chaitanya, as Guy sympathizes with his loneliness. So the two of them share a mischievous night together that could probably rival Superbad. Then, when it looks like you know where Bad Words is going, it completely subverts all of those expectations. Bad Words ends up earning the right to be called a heartwarming story because it does not try to be one. This is not meant to be an inspirational story about people doing their best and giving everybody else a fair shot; this is about a bunch of ambitious people taking out all of that competitive angst that they could never channel into sports. I have been and always will be a big fan of Jason Bateman. Hell, in real life, he is so likable that it is hard to root against him. As his first directorial effort, Bad Words is a solid, but maybe not perfect, debut. Bateman knows his influences well. There is a fantastic montage in here reminiscent of the revenge montage from Rushmore that unfortunately doesn’t go on for long enough to truly up the anti. Plus, Chaitanya can’t be the next Max Fischer, given that he never directed a hit play. Anyway, the only problem here is that Bateman has a tendency to over-direct. For instance, there is about one lens flare too many here. Just as the characters are always trying to outwit each other, Bad Words constantly strives to outwit the audience and it almost always succeeds. Sure, the guy we are supposed to root for is a jerk, but he lives in a world chock full of jerks. What I am trying to say is that Bad Words proves that sometimes, mean people are just more fun to watch. This entry was posted in Uncategorized and tagged Bad Words, Jason Bateman, Kathryn Hahn, Movie Review on April 2, 2014 by ian0592.